Top business leaders, professional athletes and most others who have achieved great success have mentors, coaches and consultants. If you’re serious about achieving success levels beyond what you’ve already achieved, working with a coach will ensure you reach those next goals more quickly and smoothly. Michelle Prince has successfully integrated what she has learned as a sales and marketing professional, Zig Ziglar motivational speaker, productivity coach, consultant and best-selling author into her Massive Action Mastermind and Coaching program. Her mission is to share her success with you! Depending on where you are in your business and personal growth, Michelle has the right starting point for you. To learn more and set up a complimentary 15-minute strategy session, fill out your information and one of our team members will contact you shortly. 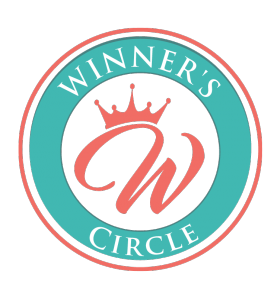 Michelle Prince’s Winner’s Circle is a high-level group coaching program and mastermind for people ready to step into their greatness and be surrounded by other like-minded action takers! The Winner’s Circle includes monthly group coaching sessions, bi-yearly mastermind days and the opportunity to work with Michelle one-on-one to gain complete clarity on your message, your brand and your plan of action to position and promote yourself as the expert in your field. All Winner Circle members will become authors in this program and Michelle will give you the clarity, accountability and encouragement you need to get your message out, in the hands of those that need it and provide a blueprint for how to you can monetize it! The Winner’s Circle is not for everyone, and there is an application process to join.